Explanation: Some stars explode in slow motion. Rare, massive Wolf-Rayet stars are so tumultuous and hot they are disintegrating right before our telescopes. 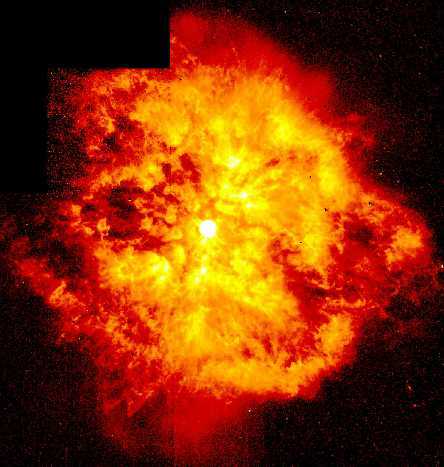 Glowing gas globs each over 30 times more massive than the Earth are being expelled by a violent stellar wind. 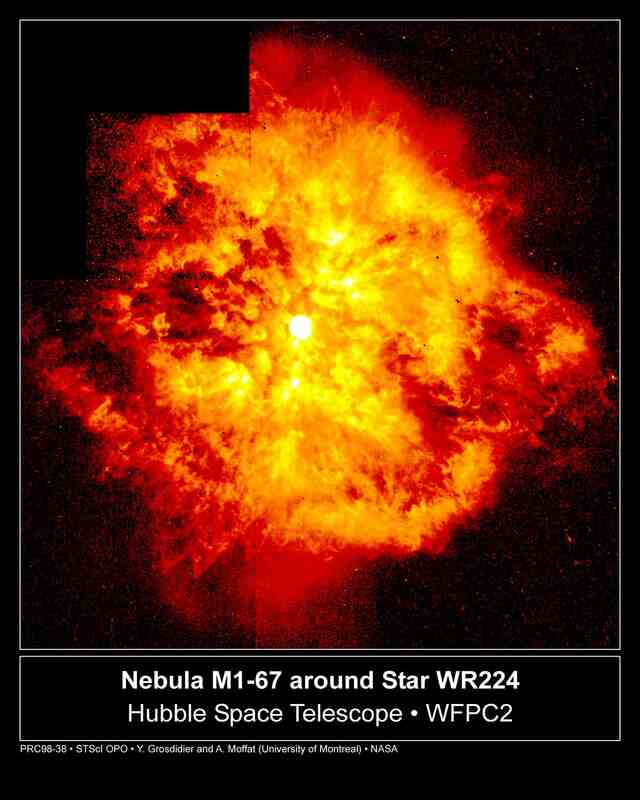 Wolf-Rayet star WR124, visible near the image center, is thus creating the surrounding nebula known as M1-67. Why this star has been slowly blowing itself apart over the past 10,000 years remains unclear. WR124 is 15,000 light-years away towards the constellation of Sagitta.